Every year, I find an excuse to bring up The Monty Hall Problem with my students: either in my 2nd year statistics class, my 4th year epidemiology class, or in my graduate class in health sciences theory. And each time that I do so, I am initially met with incredulity, often vociferously. Indeed, when I was first exposed to the Problem 20 years ago in graduate school, my response was vehement, arrogant denial. So I understand why people find it difficult to accept. 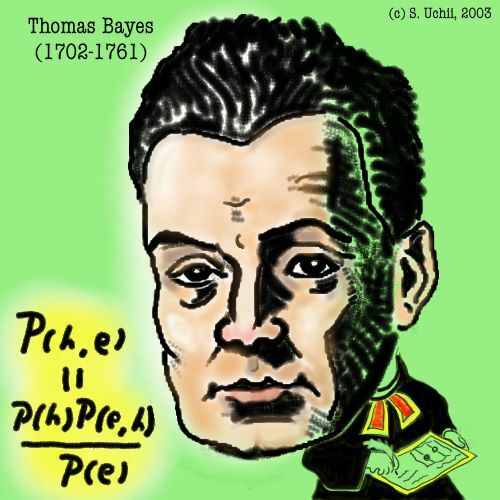 The Monty Hall Problem or Paradox is a good introduction to Conditional Probability, which flows from Bayes Theorem, possibly the most important idea in modern statistics. Recently, a Facebook friend shared this old story of when smart columnist Marilyn Vos Savant (her real name, apparently) accurately tackled the Problem, only to be faced with condescension from supposed experts in statistics. Some have suggested that sexism might have been at the heart of her experience. I don’t know about that. But I do know that the Problem often elicits incredulity, denial and sometimes condescension from people of all demographic shades. I presented the Problem again in yesterday’s epidemiology class. Right on schedule, I was met with more requests to explain how it could possibly be true. So in this post, I will attempt to explain as simply as possible how and why the Problem works. Well, back in the day, Monty Hall hosted a game show called “Let’s Make a Deal” in which a contestant from the audience would be presented with three doors on stage. Behind one door there would be a prize, and behind the other two doors there would be nothing (or a booby prize). The contestant would choose one door, in hopes of winning the prize behind it. At that point, Monty Hall would reveal what was behind one of the other doors (it was always one of the booby prizes), leaving two closed doors: the one the contestant had chosen, and the remaining door. The contestant would then be asked whether he wished to switch his choice to the other door. So the question is: statistically, is the contestant better served to stay with his original pick, or to switch to the other unopened door? On its face, the problem is simple: there are two unopened doors, therefore the probability of the prize behind behind any one door is 50%. Therefore there is no advantage in changing one’s pick. But conditional probability tells us that the contestant would in fact double his chances of winning if he changes his pick. This is where the students assault me with angry glares and demands for clarity. Initially, there are three unopened doors. 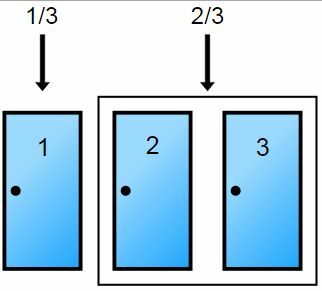 Therefore, if the contestant randomly chooses one door (let’s say he chooses door #1), the probability that the prize is behind that door is 1/3. Similarly, the probability that the prize is behind one of the other two doors is 2/3. Monty Hall did not randomly select that particular door to be opened and removed. He deliberately chose door #3 knowing that it was not a winner. It’s Monty’s injection of new information that changes the dynamic of this probability problem. 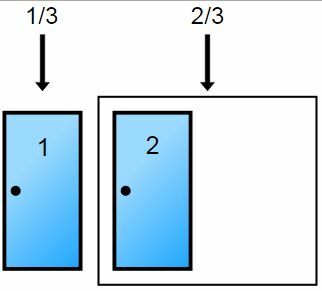 The probability that the prize lay behind either door #2 or door #3 is 2/3. But the contestant is not able to choose door #3 anymore. So if he wants that 2/3 probability, the only choice is door #2. Therefore, if the contestant sticks with door #1, his probability of winning the prize is still 1/3. But if he switches to door #2, the probability of winning rises to 2/3. Thus, he is well advised to switch. Don’t believe me? Well, the Mythbusters did it and confirmed the math empirically. So that should be the end of that. There are other (some would say better) explanations out there. You can watch this guy, or this guy, or this woman.